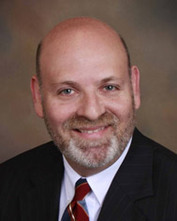 Fort Myers, FL – March 18, 2013 – Keith Grossman, founder and managing partner of Grossman Law & Conflict Management, has been appointed as a member of the Board of Trustees of the Florida Chapter of the Crohn’s & Colitis Foundation of America. As a person with Crohn’s disease, Grossman takes this important cause to heart. Thankful that his symptoms are manageable, Grossman wants to use his newly appointed position to help the 700,000 Americans currently suffering from these diseases. His designated two-year term runs through December 2014. Grossman will be following the mission of the Crohn’s & Colitis Foundation of America; help cure Crohn's disease and ulcerative colitis, and improve the quality of life of children and adults affected by these diseases.